Born in 1988, Onyeka Nwelue was described by The Guardian (Lagos) as ‘…teenager with steaming pen’ after his appearance at the Wole Soyinka Festival in 2004. He won the THOMSON Short Story Prize in 2000 with ‘Chants of a Poet’ which has been translated into over seven languages. He has published his works in the UK, the USA, France, Canada, Jamaica, South Africa and Nigeria. 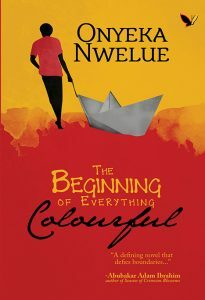 A multilingual poet, Nwelue has recently finished a novel, The Abyssinian Boy, a historical play, The Legend of Amadiora, a collection of poems, Ngwere and a musical play, The Talc. He has translated numerous works of arts and has written extensively on the arts for The Guardian and his interviews with some writers have appeared in the papers.